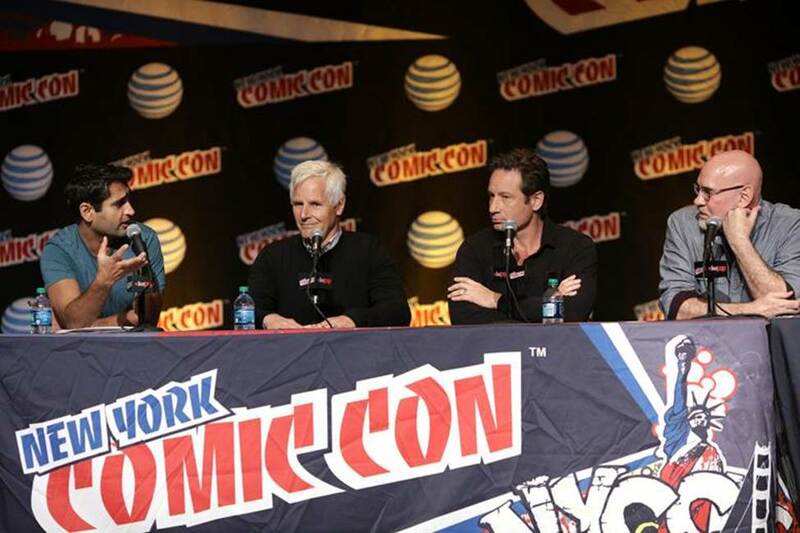 “The X-Files” Invaded New York Comic Con! U.S. premiere of the first new episode helf for a standing-room-only crowd at the Javits Center followed by an Exclusive Q&A Panel with series creator and Executive Producer Chris Carter and stars David Duchovny and Mitch Pileggi. Panel hosted by Avid “X” – Fan and “The X-Files” guest star Kumail Nanjiani! Highlights include why the time was perfect to bring back “The X-Files”, the status of Mulder and Scully’s relationship and David and Mitch talk playing Mulder and Skinner again. Panel videos after the jump! The two-night season premiere of THE X-FILES Sunday, Jan. 24, 2016, 10:00-11:00 PM ET/7:00-8:00 PM PT following the NFC championship game Monday, Jan. 25, 2016, 8:00-9:00 PM ET/PT. Previous PostNew The X-Files Promo: Are We Truly Alone…Or Are We Being Lied To? !Next PostGotham Season 2: Ep 204, Strike Force Recap! New Police Chief, Nygma & Kringle, and Bruce Leaves the House!